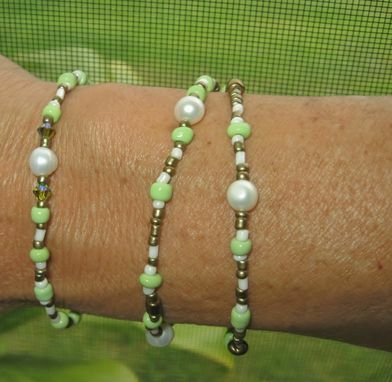 Spring Bracelet Set. Stretchy. Beach Jewelry. Made In Maui. Artisan. Rustic Jewelry. I love Spring colors. 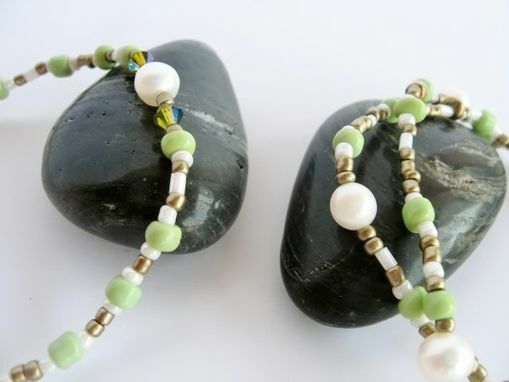 Cultured pearls are mixed with small crystals, light green, white and golden beads. One of a kind set. 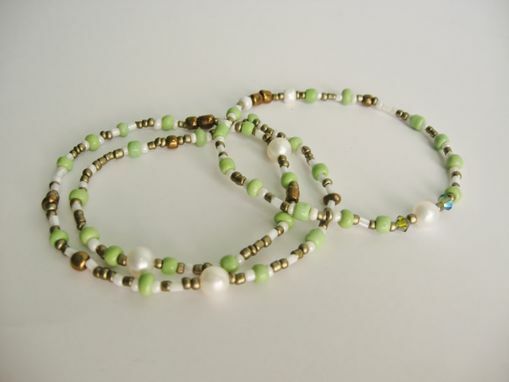 The single bracelet measures 7.5 inches (20 cm), and the double wrap bracelet is 15 inches long (38 cm). 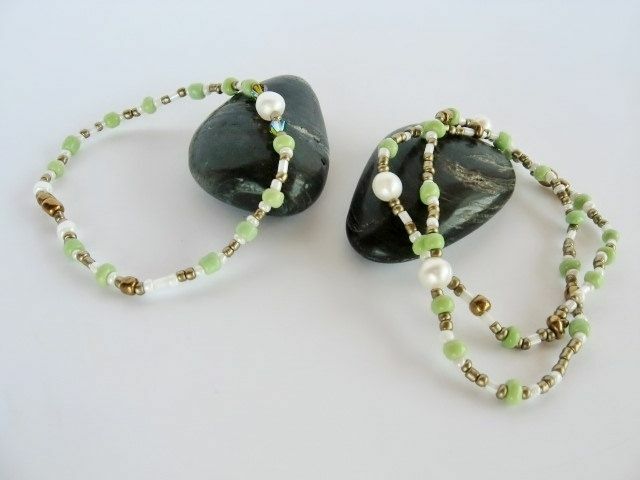 Its made with jeweler stretchy cord.